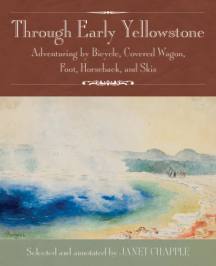 Did you know that Through Early Yellowstone describes a wide variety of people and places? 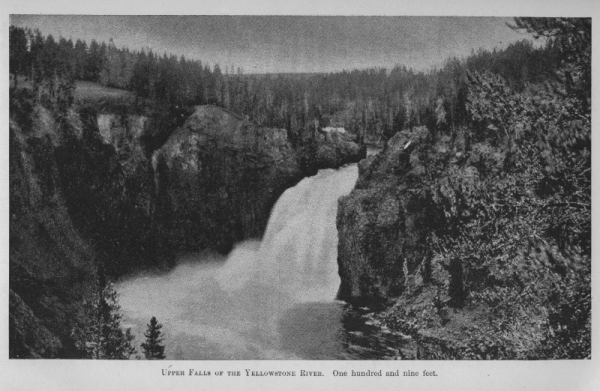 You can now use the Look Inside feature on Amazon.com’s Through Early Yellowstone page to find just what all it covers. Among all the surnames of the writers collected in the anthology or people otherwise mentioned in the book may be your name or the name of someone you know or admire. Names you could look up include ones for just about every letter of the alphabet. 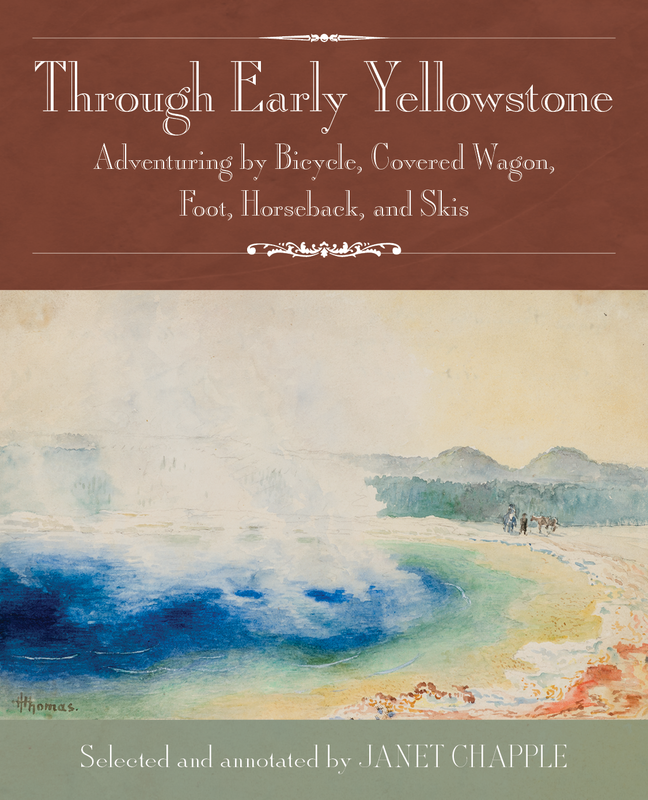 Image credit: Janet Chapple, Through Early Yellowstone: Adventuring by Bicycle, Covered Wagon, Foot, Horseback and Skis (Lake Forest Park, WA: Granite Peak Publications, 2016), 182. Originally published in Barton Warren Evermann, “Two-Ocean Pass” The Popular Science Monthly, 47 (June 1895): 175-87. Janet’s next book will be published in time to celebrate the centennial of the National Park Service. She has carefully selected and annotated travel stories from the first five decades of the park. The crown jewel of the book is the set of 1884 watercolors by Thomas H. Thomas, shown here for the first time outside Wales. We feature his image of Grand Prismatic Spring on the cover. Click on this picture for a larger image, and you can see two men and their horses standing close to the hot spring before any boardwalk was built. There have been many steps along the way, beginning with Janet’s several years of research at historical societies, public and university libraries, and the Yellowstone Heritage and Research Center Library. In 2014 Granite Peak Publications acquired the book and decided to issue it as a trade paperback. We sought feedback from friends and publishing experts, including sending out a survey that helped us switch from the tentative Magnificent Playground to the current title. The stories are told by active explorers and adventurers, so we wanted to express that in the subtitle, “Adventuring by Bicycle, Covered Wagon, Foot, Horseback, and Skis.” Our designer, Vicky Shea of Ponderosa Pine Design, is working on the second stage of page creation, altering image sizes and putting in the corrections that our proofreader found. Already Amazon.com is offering pre-orders of the book. To find out more and browse the table of contents, go to the book’s web page, ThroughEarlyYellowstone.com. Do you have questions for us about this new book? Be sure to comment below or use our contact form. Since we published the first edition in 2002, Yellowstone Treasures has received 84 reviews on Amazon.com. Of those, 81 are four- or five-star reviews; one each received three, two, or one star. Barnesandnoble.com shows six four- and five-star reviews, two 3-star, and one 2-star, most with no text. Naturally all this positive response made me happy. My main goal in writing such a detailed guidebook has always been to provide visitors with a really useful book. The occasional constructive suggestions offered online and in person by my readers contributed to the gradual improvements that my editor Beth and I have incorporated in the next two editions. An article called “The Best Reviews Money Can Buy” caught my eye in the August 26 New York Times Sunday Business section. It seems an enterprising man named Todd Rutherford found a way to capitalize on selling positive online reviews to self-publishers. He wrote some himself and hired others to write them—you could buy reviews in bulk: $99 for one or $999 for 50. The system worked splendidly for a few months, but Google began to limit Rutherford’s ads and then Amazon cut back on the reviews, and Rutherford went into other ventures. To my way of thinking, paying for reviews is unethical. I had qualms about asking one friend who had used Yellowstone Treasures in the park to write a review. It has been great to have feedback about what can be improved. Tomorrow I’ll post my reactions to the very long and detailed one-star review the book received earlier this month. My small publishing house, Granite Peak Publications, was established with the thought of providing readers with a really thorough and accurate guide to my beloved Yellowstone Park. It was fortunate that Yellowstone Treasures was accepted from the start by the country’s second largest independent book distributor, Independent Publishers Group (now Small Press United, a subsidiary of IPG). When they suggested that I put out e-book versions and generously offered to convert my guidebook into three of those at no cost to me, I jumped at the chance. Here are a few words about Amazon’s point of view—although their spokespersons refuse to comment to reporters. Amazon’s fourth quarter 2011 results (reports Time Business & Money) missed Wall Street’s expectations, and the current quarter could see Amazon lose money. Their operating expenses “increased 38%, cutting into the company’s profit,” and their stock “has drooped nearly 20% over the last three months”—these figures from a February first Time Business article. I ask, does this warrant such heavy-handed actions affecting publishers, authors, and readers? Since early 2010 over 650 e-book copies of Yellowstone Treasures have become readable on Nooks, iPads, Kindles, and other electronic reading devices. I’m sure this is a convenient way for many people to carry the best-selling guidebook to Yellowstone. 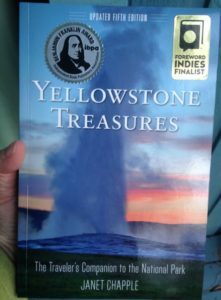 If you are thinking of buying Yellowstone Treasures for your own device, please keep in mind that you can find it at your local independent bookshop, www.indiebound.org, www.BarnesandNoble.com, Apple’s iTunes, Google Books, www.ebookstore.sony.com, and elsewhere. Also if you have a Kindle Fire, with just a few steps you can download almost any e-reader app and purchase EPUB and PDF editions that can be read in full color on the Kindle Fire. The best news is that 2009 is proving to be a record year for Yellowstone visitation. Most roads are now closed, and snow pack is beginning to accumulate in many parts of the park, but through October the number of people visiting the park has never been higher. More than 3.2 million visitors entered the five gates from January through October. The National Park Service attributes the steep rise in visitation this year to people realizing that national park visits are a good value and to fuel prices remaining lower than in 2008. Three summer weekends when entrance fees were waived may also have contributed to the higher numbers. We have just received our copy of your wonderful book in the mail and we cannot put it down! My husband and I are planning our 4th trip to Yellowstone for this Fall. . . . We are so excited and even more so now that we have found your wonderful resource which will accompany us every step of the way. The book was a magnificent guide that allowed my family (wife, two little girls ages 5 and 7, and their grandparents), to maximize every moment in this wonderful place. Incremental details, ease of info lookup, summary on prioritizing sites, lodging, etc. This book is just like a non-electronic GPS with supporting info, as the roads are relatively simple in the park. Our copy is treasured and tattered. . . .
Everything my traveling companions and I could want to know or need to know about the area within Yellowstone was within the nearly 400 pages of this book. The next time my friends and I go back to the park, we certainly will be making use of Ms. Chapple’s work. If you are planning to visit Yellowstone National Park, I strongly advise you to get a copy of this book beforehand yourself and keep it on hand as you traverse the park. And I was delighted to find that Amazon is including a copy of Yellowstone Treasures with the Canon sweepstakes they will hold November 9-15. Chalk up one more for Yellowstone: Fodors.com has a forum where someone asked whether Yellowstone or Yosemite would be a better choice as a vacation spot for taking children 11 and 13 next summer. Two of the comments were: “Yellowstone has such variety in natural settings, unique environments, and wildlife . . . “ and “There are plenty of ‘walks’—rather than hikes. Places where you park your car and walk about one-half mile along a nice path. . . . Don’t think of this trip as a drive-by Disney-type experience.” I can second that!